This year Black Friday – the first Friday after Thanksgiving, is on November 24th. Each year I am used to following up on the substantial online discounts in this period of the year and I try to get the best deal on my gadgets (phones, tablets, game consoles etc), white and brown goods (fridge, TV set etc) but also on my beauty and hairstyling tools (hot brushes, flat iron, dryer etc.). This year, it seems that retailers are less restrictive with their discounts and have already started their Black Friday Cyber Monday pre-sales. Amazon has set up a Gift Guide area where you can find daily pre-sales deals. This year Amazon is launching a variety of limited deals in advance of Black Friday and Cyber Monday. 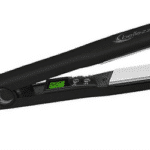 I will be updating this page with the best deals for hair styling products as I find them. Make sure to bookmark this page for updates! New deals will be updated when they are made available. Current Deals and coupon codes are listed individually in the article below. *updated 11/24/17; all deals will be listed with the approx. ending time if available (eastern standard time). Popular deals may run out of stock quickly. Deals without a time limit will also be listed below. I am setting up this space where we hunt and follow up on all the major deals on hot styler brushes, straighteners and curling irons from major retailers like Amazon, Sally Beauty, Folica etc. Please note that these discounts are available during the Black Friday pre-sales period, starting the week before Black Friday and on that day as well. In this section we will keep an updated list of all hair styling tools which currently offer an Amazon coupon for a discounted price. Note: Amazon coupon codes do not list an expiration date, but are subject to change at any time. Note: these promotional codes are for a limited time only and are valid while supplies last. They codes are only valid for US based shoppers. New codes will be updated whenever they are available. The code should be activated when you click the link. The actual promo code is included below in case the discount isn’t immediately applied.